Home / Archive by category "Energy"
Modern connectivity technologies are transforming a wide range of industries. This is particularly true as the Internet of Things emerges as a key solution. IoT solutions empower organizations to gather information from diverse sources, bring that data together and analyze it in real time. In many cases, IoT devices can be equipped with embedded apps that allow them to automatically respond to specific conditions. This adds up to create considerable opportunities for innovation as organizations can use robust connectivity to eliminate longstanding operational roadblocks. However, these gains are only possible if the network can keep up with the demands of IoT devices. In sectors where operations often take place in remote locations, such as the oil and gas industry, satellite broadband services play a critical role in this process. The oil and gas industry has been going through a challenging period as prices go down and the market is flooded with supply. According to PricewaterhouseCoopers, oil and gas companies are continuing on with their drilling despite the low oil prices because they are generally more concerned with shoring up market share than they are maximizing immediate fiscal returns. While this strategy certainly has its merits, it also means that prices go down across the sector, making it more difficult to maintain revenues and gain a competitive edge. On top of all this, PwC found that layoffs, discounts from oil-field service providers and spending cuts aren't enough to keep oil and gas companies ahead of the price declines in the sector. Instead, it is time for organizations to take a new look at the industry and develop creative solutions to longstanding problems. The challenges facing the oil and gas industry don't just come down to simple supply-demand mechanics either. Shifting cultural perceptions around fossil fuels are creating incredible volatility, leaving organizations with question marks about how they should be moving forward. PwC recommended that oil and gas companies work hard to avoid unnecessary cost cutting. It may be nice to save some money immediately, but reducing strategic investments can also push a business down a path that limits future flexibility. This isn't beneficial in an era with so much market volatility, and oil and gas companies need to maintain the systems necessary to adapt to future demands. "Many oil and gas companies have run into trouble trying to broaden their operations." Businesses must also become more targeted in how they operate, PwC said, as many oil and gas companies have run into trouble trying to broaden their operations to such a degree that they have not been able to keep up with the unique demands of those market segments. This is particularly evident when oil and gas companies that typically focus on exploration try to get into production, but it can come out in other areas as well. These conditions add up to a situation in which technology that helps companies innovate and reduce costs are essential, PwC found. Robust digital technologies are central to improved monitoring and better operations in the field, and connectivity solutions are central to these gains. Advanced network technologies can drive a wide range of benefits across the oil and gas sector. 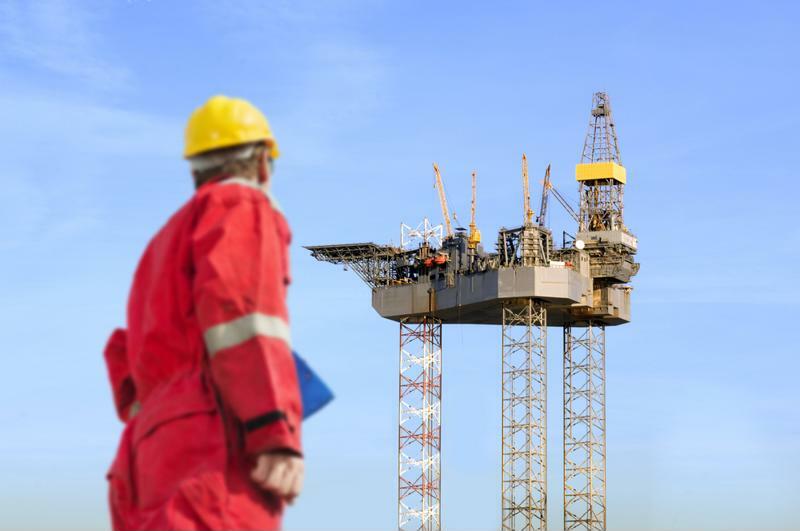 According to Automation World, the IoT can be used across oil fields to create more connected, intelligent environments in which data is gathered from diverse sources to drive performance gains. While there are some factors holding the industry back, particularly legacy technologies and the need for incredibly secure networks, the potential benefits of innovation are too great to ignore. Industrial Ethernet tools can resolve many security and performance demands facing the sector, giving businesses the tools they need to interconnect diverse devices throughout the field to provide insights into every phase of operations. Coordinating and optimizing operations across complex field environments is no longer out of reach. Instead, robust connectivity systems can interconnect disparate work teams, allowing organizations to work smarter and reduce operational expenses. Automation World said that the IoT is such a useful technology that oil and gas companies can't afford to neglect it. Improving connectivity in the field can be incredibly difficult – it requires a complex array of routers, switches, wireless access points and backhaul systems that allow users to complete a wide range of tasks. That diversity is among the key challenges. Organizations must be prepared to support data workflows that are sensitive to latency alongside those that can tolerate some delays. Industrial Ethernet solutions can help on the ground, but legacy satellite network solutions may not be up to the task. This is where modern satellite broadband systems are coming into play. Connectivity can give oil and gas companies a competitive edge. Information is created by an IoT device monitoring a drill in a remote offshore platform. That data is sent along to a wireless access point. From the WAP, the information moves into the wired LAN that serves as backhaul for the Wi-Fi systems. The LAN interconnects to the access network to provide a link to either a Wi-Fi or LTE network that connects multiple network segments in a segment of offshore platforms. A satellite picks up this information from a direct network link and transmits that information back to primary servers, often in a distant geographic location. The data may make multiple stops along the way for different user groups, and the combination of distance being traveled and network segments being crossed means plenty of delays are possible. If that monitoring device is telling you a drill is about to malfunction, you can't afford a delay. Modern satellite networks that optimize routing can eliminate latency, ensuring your teams get the information they need, when they need it, overcoming longstanding connectivity barriers and giving oil and gas companies a competitive edge that helps them stand out from their peers.